Whether you’re a pickleball expert or are just hearing the term for the very first time, you won’t want to miss one of fall’s most anticipated events. 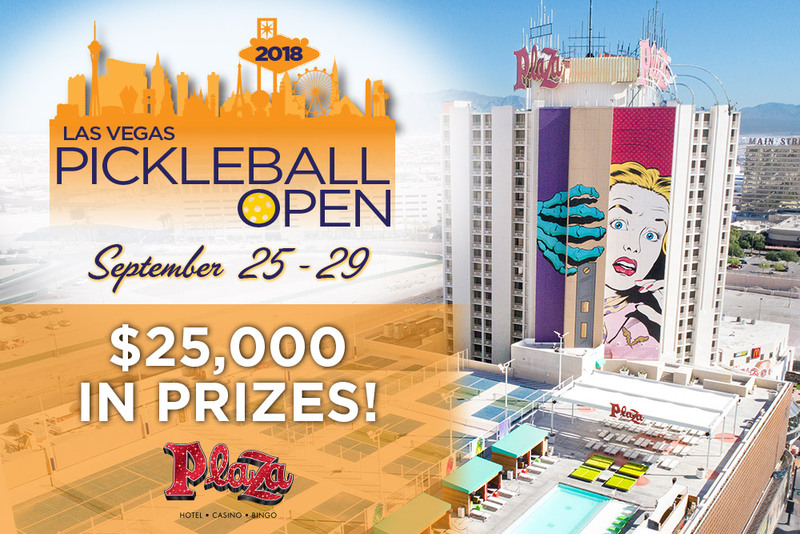 The 2018 Las Vegas Pickleball Open will be held September 25th to September 29th, and competitors will have the chance to win $25,000 in cash for the pro tournament. In addition to the pro tournament, there will be an amateur tournament and the option to watch as a spectator. People come from all over the country to compete in this oddly named sport and reign supreme.If you’re not familiar with pickleball, it is somewhat like tennis or badminton. You can play the game as singles or doubles, and it involves hitting a ball over a net. The game started in 1965, and it’s been capturing the attention of sports fans ever since. If you’re entirely new to pickleball but interested in learning more, you may want to check out The Beginners Guide to Pickleball, which will explain the fundamentals of the game.The Plaza Hotel and Casino’s pickleball courts are located up near the pool on the rooftop which is where the tournament will be held. If playing a game of pickleball is your idea of fun in the sun, you’ll want to be sure to sign up for the tournament for a chance to win $25,000 in cash. Registration fees start at $60 and $25 per event for the skill and age divisions. When signing up for the pro division, registration is $100 and $25 per event. 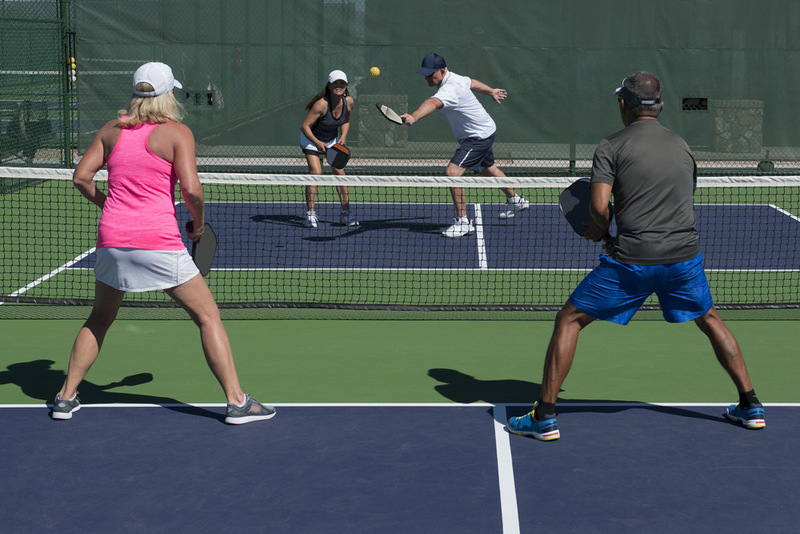 There’s plenty of time to practice before the competition, and you can practice at The Plaza’s pickleball courts for only $5 per day and $3 for Nevada locals. All hotel guests have complimentary access to the pickleball courts and only pay for gear rentals. If you’re wondering where to stay during the four days of the tournament, The Plaza Hotel and Casino will be offering rooms for a special rate starting at just $49 per night! You can play the day away at the pickleball courts and then enjoy all that downtown Las Vegas has to offer at night without ever needing a car or taxi. Register today for the Las Vegas Pickleball Open!